Scott, Nick, and Sean spend the bus ride home talking about the Neutral card from The Forgotten Age Deluxe Expansion. Scott, Nick, and Sean serve in detention, so may as well discuss the Survivor cards from The Forgotten Age Deluxe Expansion. Scott, Nick, and Sean join class today to discuss the Mystic cards from The Forgotten Age Deluxe Expansion. Scott and Frank from the Drawn to the Flame Podcast are joined by tardy student Sean to discuss the Rogue cards from The Forgotten Age Deluxe Expansion. Scott sits down with Sean to review the Neutral cards from the Path to Carcosa! Sean and Scott sit down and review the Guardian cards from the Path to Carcosa! Sean and Scott sit down and review the Rogue cards from the Path to Carcosa! 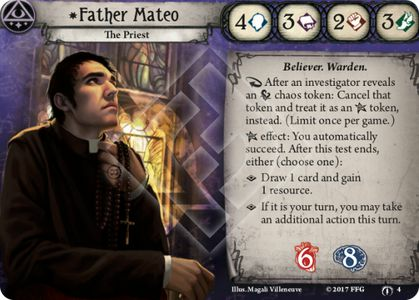 Sean and Scott sit down and review the Seeker cards from the Path to Carcosa! Sean sits down with Mythos Busters Intern Chris to discuss the Lost in Time and Space review of player cards. Sean sits down with Mythos Busters Intern Chris to discuss the Where Doom Awaits review of player cards.